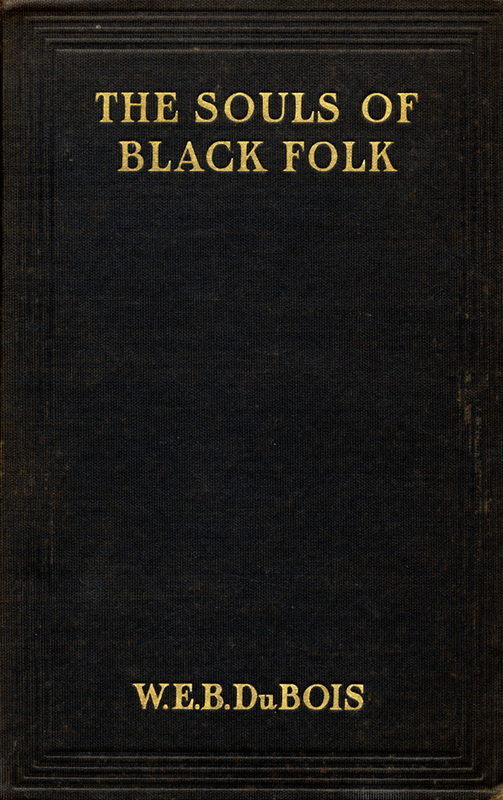 Imagine holding a copy of THE SOULS OF BLACK FOLK in your hands in 1903. The black cloth covering, the title in austere gold text, the epigraphs. These elements should be seen as the first text, as a professor revealed to me once. And to me, the elements here announce austerity and solemnity. The first chapter of this volume is today’s stop in the CNF Journal Essay Canon reading mission, and the salient theme for this post, I think, will be introductions. “On Our Spiritual Sufferings” introduces invaluable concepts to race theory, the veil and the second sight, which are creative and recurring metaphors. The essay functions as an introduction to the rest of the book. It’s also an introduction into the 20th century, coming after the failures of Reconstruction, and a prophetic declaration of the color line as the foundational problem on the century to come, perhaps part of the journal’s choice to have it represent the last century’s first decade. And, what I want to focus on the most here, the text’s opening is a masterclass in mood.